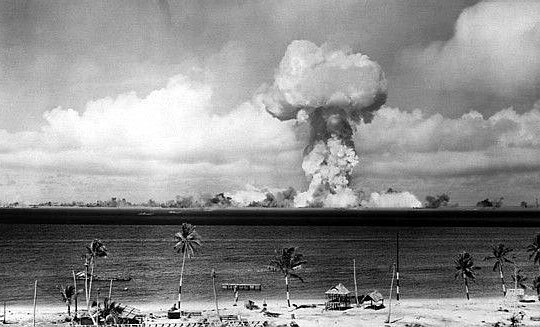 The U.S. conducts Shot Able of Operation Crossroads, its first postwar nuclear test, at Bikini Atoll in the Marshall Islands. The purpose of Operation Crossroads, which included two shots, Able and Baker, was to investigate the effect of nuclear weapons on naval warships. The Able test yielded 23 kilotons.